Cowford Realty & Design matches people with spaces that make them feel right at home through care, creativity, collaboration and connection. Whether you're looking to buy your first home or thinking about selling the home you grew up in, Cowford agents put people first and handle each Real Estate transaction with care. We love to get creative and collaborate with our clients to help them achieve the interior vision of their dream home. We offer our staging expertise to get your home ready to sell. We are experts in property management including tenant placement, tenant services, vacation rental consulting and hosting around the city. Don't miss out on this beautiful home that looks like you stepped into an HGTV show. Everything is just perfect - from the beautiful chef's kitchen and open floor plan to the mature landscaping that makes you feel right at home. Everything has been touched and updated in this gorgeous home - from the moment you walk inside, you'll know this is the one you've been looking for. Dreamy beach living in your new POOL home! Life is better at the beach in your spacious, pool home on a cul-de-sac in South Jacksonville Beach! Need space for the people and things that you love most? This home has five bedrooms! Plenty of room for everyone in the family PLUS extra space for a playroom, library, office, or hobby room. The open floor plan is filled with natural light and is perfect for hanging out with your family or entertaining. When you're ready to go outside, make sure to bring your bathing suit for a dip in the pool! Want some quiet time at the beach instead? Ride your bike to the soothing ocean and take a long walk on the beach - only ten blocks away. 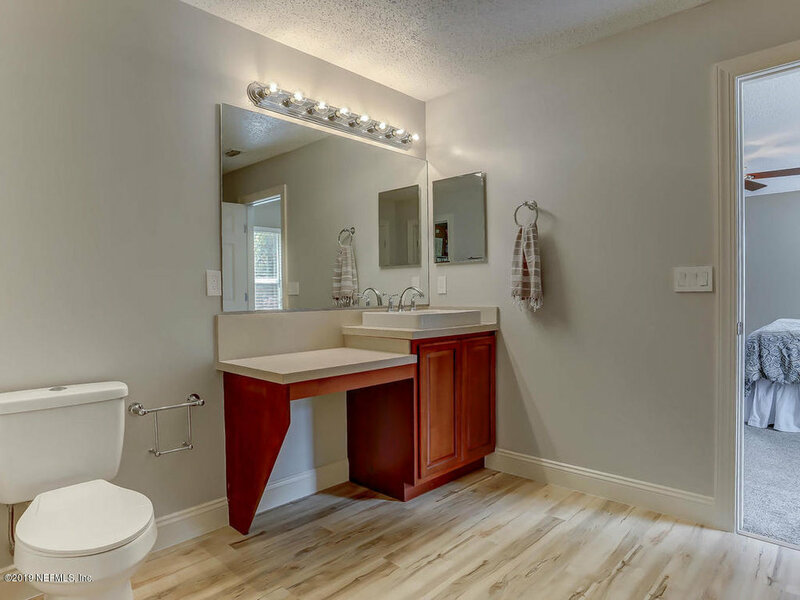 The home has many upgrades like travertine floors, granite countertops, Jacuzzi bath, impact windows, stainless appliances and much more! 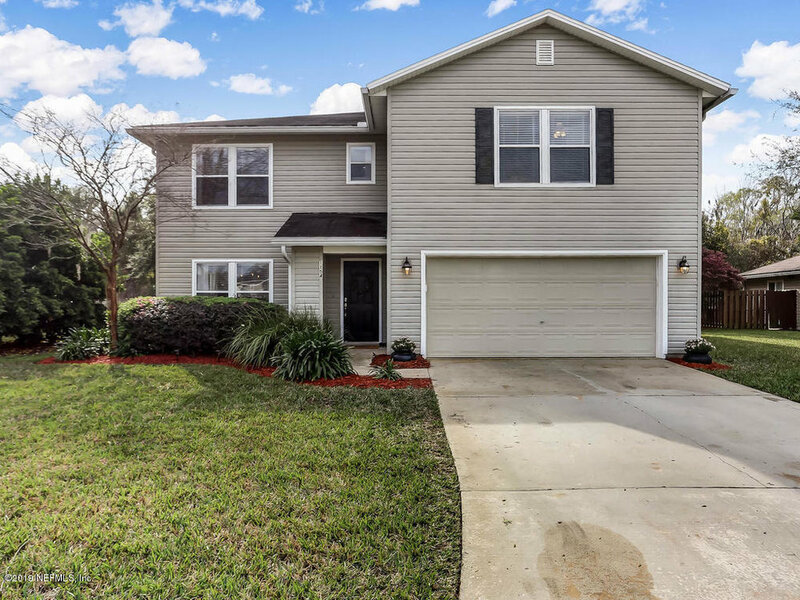 Newer construction bargain in Bartram Park! A most unique property - an updated home with space, privacy and land. All within an urban area. It's like living in a park within the city. The home was fully updated with new metal roof, new systems, even new walls and ceilings. Nothing was left untouched. A gourmet kitchen offers double pull-out dishwashers, a wine refrigerator, gas range, double honed granite counters and custom cabinets. All the original features like the front door and transom window were painstakingly restored so the home shows as a historic treasure. Entertaining will be a breeze, you'll love having people over. The back deck adds an extra living space. All this plus a 3-car garage and an apartment perfect for airbnb. The extra lot can be subdivided and sold. All this and more in a wonderful neighborhood. Superb Avondale living with all the bells & whistles! This gorgeous historic two story bungalow, just steps away from the Shoppes of Avondale & the St. Johns River, is updated, renovated, high & dry and NOT in a flood zone. Meticulously taken care of to preserve the history & charm that Avondale offers, this home boasts...Gorgeous Pecan Kitchen Cabinetry...Breakfast Bar...Butler's Pantry...Granite Counter-tops...Self-Close Drawers...Large Dining Room Window Seat...Separate Living Room & Great Room...Sun Room...Lots of Natural Light...Closets Galore...Large Basement...Beautiful Screened-in Enclosure...Plantation Shutters...New Roof in 2014...New Water Heater in 2015...New Upstairs AC in 2016...New Garbage Disposal...Beautiful Wood Floors...Built-in Bookshelves...2 Storage Sheds...Completely fenced in, front & back & move in ready! Classic Florida Home in Sutton Lakes with fully fenced lot resting on a duck-friendly pond. Upgraded items include: granite transformation kitchen countertops, stainless steel appliances, vinyl wood floors in the living areas, ceramic tile in the laundry room/bathrooms, screened porch with removable windows, newer sod, palm trees, French doors, to name a few. Move-in ready with central access to the beaches, downtown and the St. John's Town Center. Amenities include a swimming pool and playground. This home is very easy to show. Please come and make this home yours today. Move-in ready bungalow in A-rated Fishweir school district. This place has fantastic curb appeal - unique brickwork and charming entry. Walk right in and drop your keys and coat in your petite foyer, perfect for a tidy home. Fresh, modern paint job and beautiful hardwood floors throughout leaves few projects for new homeowners. Newly renovated and stunning galley kitchen functions wonderfully for cooking at home. Cozy den or sunroom heads outdoors to a fully fenced in yard. Three bedrooms and a lovingly maintained historic bath. Complete with attached garage makes this home the best buy in Fishweir! This move-in ready bungalow is located in A-rated Fishweir school district. The freshly painted exterior provides this charming brick home with a soft and modern welcome. Walk right in to your lovely foyer complete with archways and extra storage to help keep home tidy. Happy sun room functions as a great office or play room. The natural light continues to shine through the spacious family room with the most charming fireplace. Make your way to a classic dining room with wainscoting and kitchen bar for an open feel. Galley kitchen sports freshly painted cabinets and stainless steal appliances. Back door leads to laundry and large open fully fenced in backyard. All three bedrooms and one-and-a-half baths are conveniently located off landing near family room. This is the one! Move-in ready in A-rated Fishweir school district. Wonderful energy, flow and curb appeal. Welcoming front door and foyer open to bright living room with beautiful wood-burning fireplace and to light and cheery dining room which also opens to kitchen. Original hardwood floors and tile throughout. Spacious bedrooms and original but lovingly maintained bathrooms. Magical backyard with 900 sq ft of pavers, 8' privacy fence and deck with large screen-enclosed porch off kitchen and master suite. Porch provides almost 200 sq ft of additional living space. A perfect retreat from the bugs or a rainy day! Location, location, location- walk or bike to Fishweir Park, Boone Park, Shoppes of Avondale and to over 10 of Jacksonville's best restaurants and cafes. Best of Florida modern style home complete with double entry front doors, clean, open floor plan with cathedral ceilings and bright window lit foyer. Natural light and beautiful hardwood floors throughout most of home. 2 sets of french doors lead to charming sun room that overlooks private and wooded back yard. Open, spacious and updated kitchen complete with stainless appliances, granite counter tops and garden window. Grand master bedroom with french door entry, en suite bath with sunken shower and walk-in closet with built-ins and space for vanity. 2 guest rooms overlook front yard with beautiful southern magnolia. Huge 3rd guest room could be large bedroom, bonus or family room. New roof and exterior paint in 2016. Community offers pool and tennis courts.